Now that the stage is set for Lilly Pulitzer’s fall collection, I’m taking a closer look at some of my favorites from the collection. I love the new pop of color from Pink Tomato Standing Ovation. The Ciara tunic is particularly gorgeous, although I did have to size up in this one because the shoulders in my normal size seemed a little snug. Didn’t want any more wardrobe disasters. After a while, I realized that the flower in this print is a poppy! Whenever I think of poppies, two thoughts come to mind that are completely unrelated. 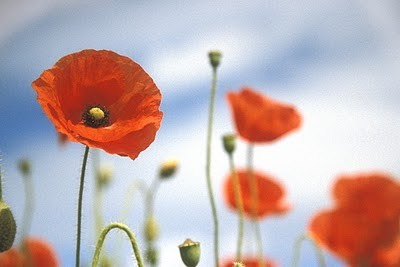 I think of Memorial Day poppies to honor servicemen and women who have given their lives for our countries. 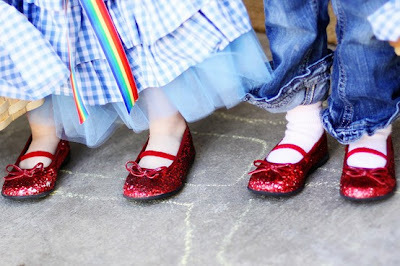 But I also think of Dorothy and the Wizard of Oz. Mmmm I'm starting to see a theme. Poppies, lions, tigers, and monkeys, ruby slippers in the prints. Later deliveries promise prints with names like Drama Queen, Follow the Pink Road, and Mane Lion. I've always loved the Wizard of Oz. Do you remember back in the stone age, long before VHS and DVD? Certain movies like the Wizard of Oz, The Sound of Music, and Grease were shown once a year on television. The entire family watched these movies together and I remember that I was given permission to stay up late to watch these shows. Oh how things have changed. But I can still remember the wicked witch's high pitched voice saying "Poppies...Poppies! Poppies will put them to sleep. Sleep. Now they'll sleep!" This stunning Lilly Pulitzer pink tomato poppy print won't put you to sleep. The Adalie Wrap dress is perfectly packable and won't wrinkle on you or in a suitcase. The Kelsi dress is a fun mix of two prints! Which pink tomato poppy option do you prefer? i'm wearing the adalie in the polka dots today. love love love! 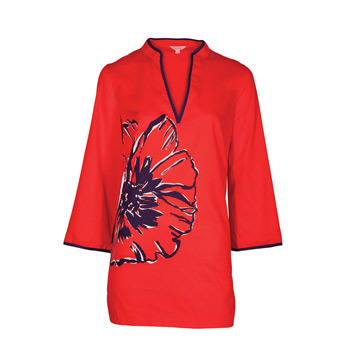 I just saw the tunic in store saturday and love! I got one of the t shirts in the poppy print. The Adalie wrap dress. My closet is one never-ending supply of wrap dresses.